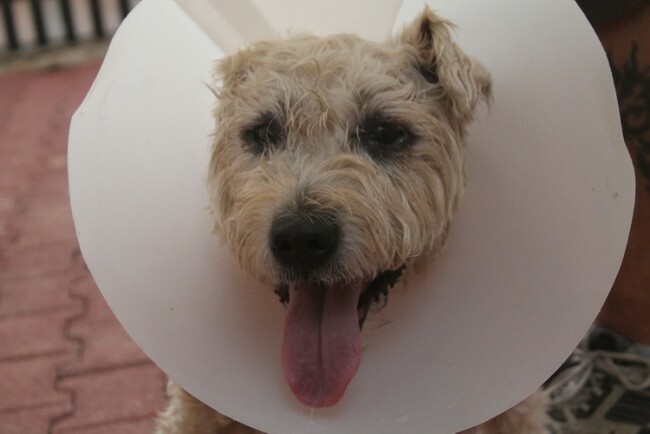 What to do when your pet needs emergency medical care. If the first thing you think of when your pet is in trouble is calling 911, then this post is for you. The unthinkable has happened and your pet's in trouble (more about "trouble" below). The first thing to know is that the adrenalin pumping through your body needs to be controlled. You don't want to "fight" or "flight", so take deep breaths - try to be aware of breathing rhythmically; this will also help your pet remain as calm and relaxed as possible. Best not to cry or shout out; this will only add to your furry beloved's stress levels. No matter how much you want to hug and comfort Felix or Fido there's a chance they're so hurt and terrified you could be in danger of being bitten or scratched. Keep your face away from paws, claws and mouth. Assess the situation (using your calm breathing!) and try to be as gentle and methodical as possible. Once you've sussed out the situation, call your emergency vet number (the one that's on your speed-dial, right?) so they can be prepped for you when you arrive at the clinic. Poisoning: (You'll find some of the causes and symptoms here.) Don't try to give your pet any kind of antidote to the poison or make them vomit until you've spoken to your vet. If possible, establish what you think has poisoned them and tell your vet over the phone. (Ditto for an allergic reaction.) They may recommend inducing vomiting or ask you to get-there-quick, depending on what and how much has been ingested. Heatstroke: (Especially here in the UAE.) When the mercury rises, so do the chances of Fido overheating. He doesn't have an efficient self-cooling sweat-system like ours. Heatstroke is a situation that needs to be dealt with quickly: move your dog to a cooler spot, wetting him with room temperature water or draping him in a damp towel. The most common initial symptoms of heatstroke are excessive panting and a bright red tongue - but if you are at all uncertain of what the problem is, don't hesitate to call the vet for advice ASAP; overheating can cause tricky complications very quickly, and in the worst cases can lead to death surprisingly quickly. Bloat: (Otherwise known as gastric dilatation-volvulus or GDV). Not something everyone knows about, although you really should. It has different causes, but basically happens when the stomach fills up with air and puts pressure on the other organs, often resulting in the stomach actually rolling or twisting over on itself, which causes the intestines to twist and become constricted, which blocks the flow of blood through those vital organs. It's under "emergency" because if it's not treated within a few hours it can be fatal. Bloat is more likely to occur in large breeds with deep, narrow chests, so keep an eye on your Great Dane, German Shepherd, Boxer, etc. Soft tissue trauma or bruising: This can range from minor injuries caused by jumping from too high-up, for example, to sprains and rough play. It's important to treat soft tissue trauma seriously as it can lead to more permanent damage. If your visit to the vet has to be delayed, keep your temporarily-not-so-perky pet from moving around but don't (although you might be tempted) do any bandaging yourself, which may cause more harm than good. Open wounds: (Also called "lacerations", which include bleeding cuts or scratches.) This is where you really need to reach for the 3 C's (Cool, Calm, Collected.) Try to gently wrap your precious cargo in a towel or blanket to minimise the shock and keep them warm. Try not to panic; often a lot of blood is worse than it looks. If a wound is bleeding profusely then direct pressure with a towel or bunch of gauze goes a long way towards helping to stop the blood-flow. Obviously, get to the vet quickly; they'll stabilise and treat as an emergency, particularly if you've called beforehand. A bottle of hydrogen peroxide, 3% food grade (to force vomiting), which should be kept in the fridge and clearly market DANGER / POISON to avoid the family taking a swig. A dropper (ear or eye kind) or syringe for the peroxide. Salt solution to bathe eyes if necessary (milk will work if you don't have this). Artificial tear gel (to keep eyes moist). A mild antiseptic (for minor cuts). An old blanket or towel. If you're not dealing with open wounds you could use your pet carrier. The idea is to have as little wriggling in the car (minimize movement) as possible - so really, it's your call. Sometimes speed is more of a necessity than containment. Using a flat piece of board to carry your precious-but-in-pain pet to the car works well if you have something like that on-hand, otherwise stick to a blanket. Place your pet on its side, unless they have a chest or lung injury. Position the head down below the level of the heart so if there's vomiting (and this can happen even with an unconscious pet) it runs out of their mouth and not back down into the windpipe and the lungs. And drive with care - no point in creating more emergency with your not-so-super speed-skills.